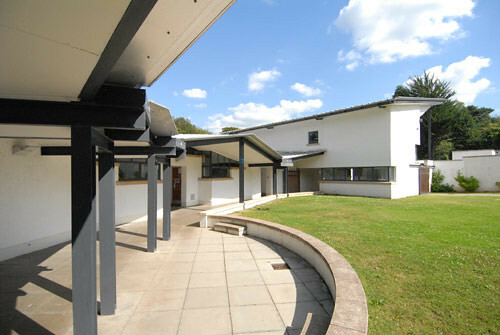 Harmeny School is a residential and day school for 5-14 year old children with social, emotional and behavioural needs. 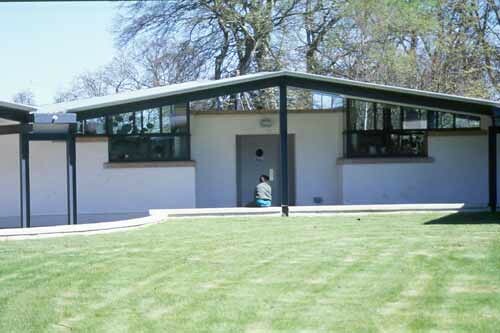 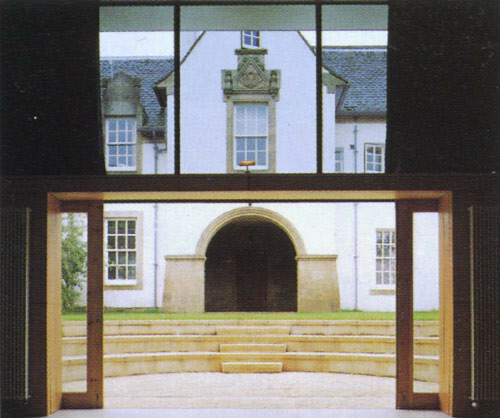 Harmeny Education Trust is an independent charity, and is based in a Listed country house built at the turn of the 19th century and set in extensive grounds on the outskirts of Balerno, near Edinburgh. 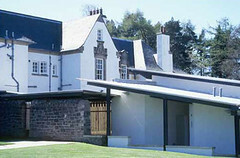 The house was extensively remodelled by Lorimer in 1910, adding a pitched roof storey, a wing and a tower and reversing the entrance from south to the north. 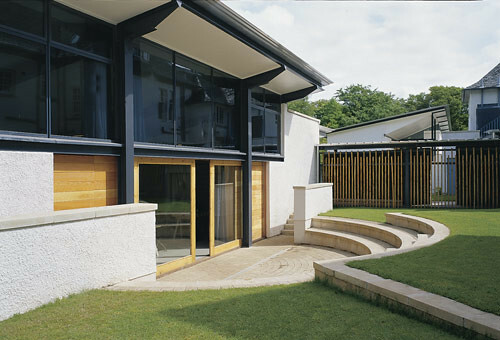 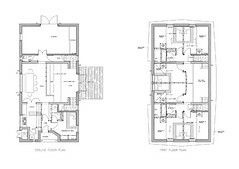 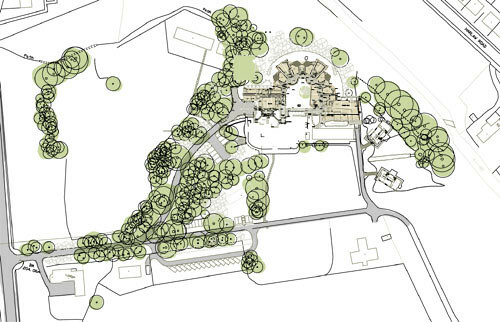 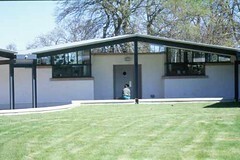 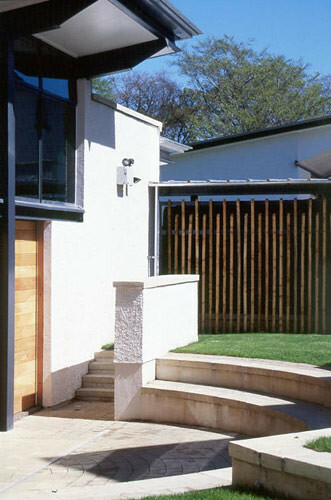 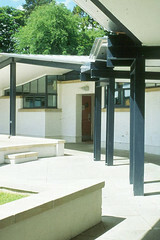 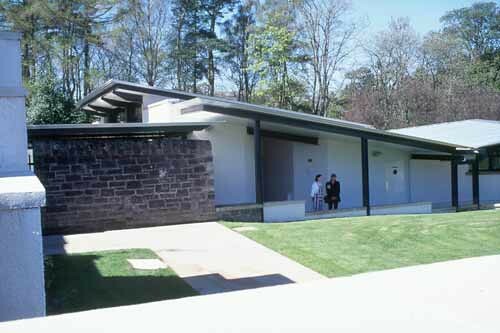 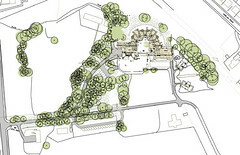 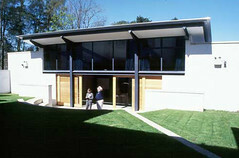 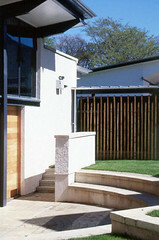 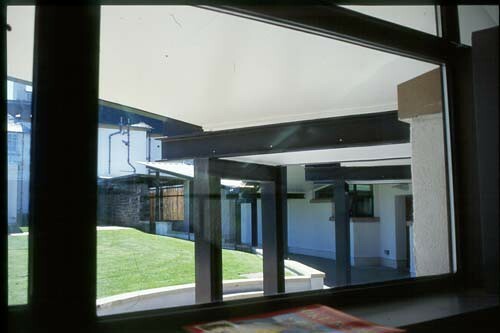 Our involvement with the school resulted in a radical reassessment of the school's brief, emerging as a long term programme of construction to provide two new houses in the grounds for children, a crescent shaped development of classrooms and specialist teaching rooms, including sports hall and music room, substantial alterations to the existing listed country house together with the preparation of longer term development and woodland strategies for the whole site. 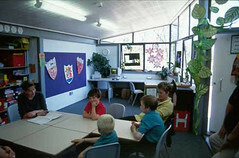 Children are taught in six classes of six each and are potentially easily distracted. 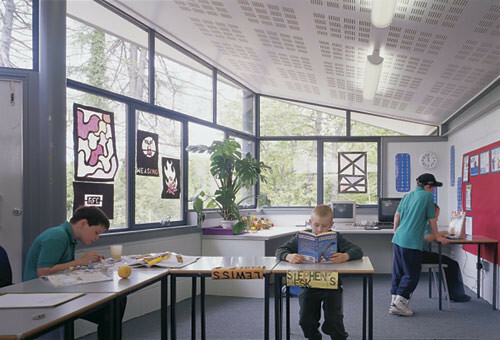 Each of the classrooms looks onto mature woodland but has high cilled windows to an interior 'breakout' courtyard. 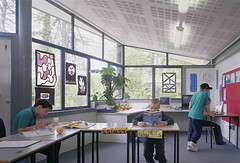 The classrooms themselves are an informal shape with a teaching area, wet area and individual study against the window. 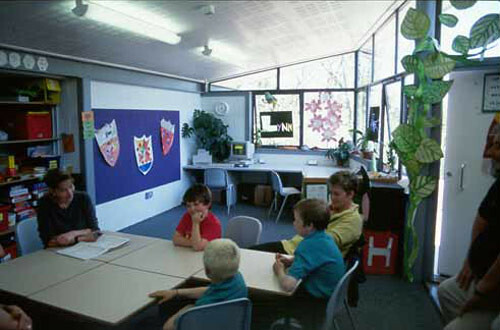 Observation panels from adjacent staff rooms allow children occasionally to be monitored. 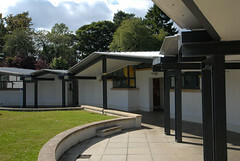 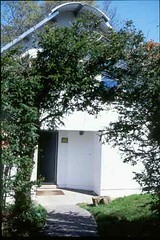 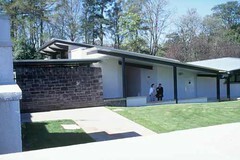 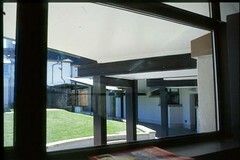 Each classroom has its own roof and is surrounded with views of trees. The crescent is terminated by a gym on one side presenting a 'garden wall' appearance to the formal south front of the house while the other is finished with an assembly/music room, on axis with Lorimer's Tower. 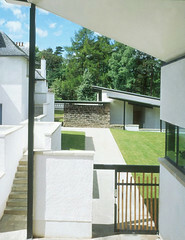 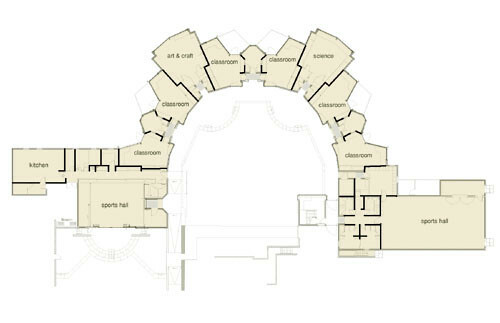 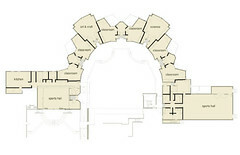 Between the two is a second 'quiet courtyard' containing an external auditorium for events staged in the new room. 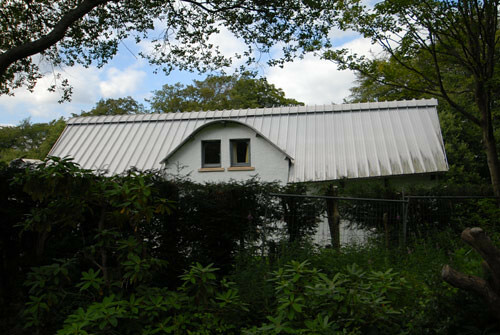 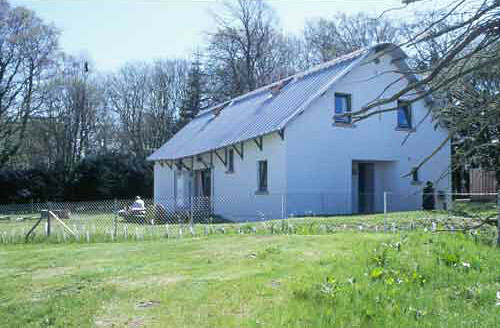 The two new houses are identical and placed in the old kitchen garden. Each contains six children's rooms in the roof but they are deliberately architecturally quiet to provide a base of "normality" for the children's lives. 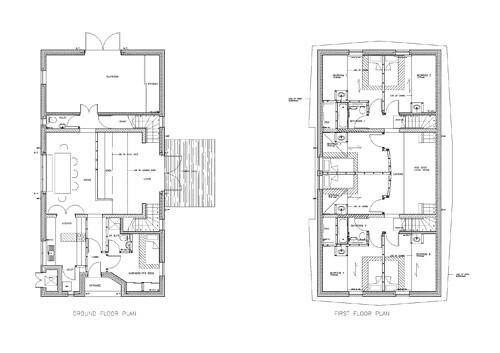 A one and a half storey living room allows night-time supervision of the upstairs from a carer situated below. 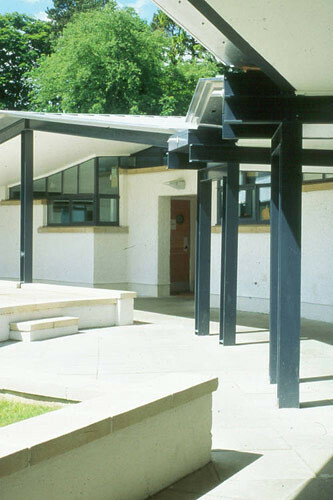 The project was run on a rolling programme to take account of the client's fund raising activities, and to allow for the continued functioning of the school throughout construction and was completed in Spring 2000.